The critics were out in force for Amazon’s inaugural live football stream last week. However, growing interest in live streaming online and a renewed focus from video platform providers on scalability should deliver TV quality and TV scale in the not distant future. Amazon’s first Thursday night football live stream did not go off without a hitch. Some struggled to join the Chicago versus Green Bay stream at the beginning of the game. Others had their viewing interrupted by buffering issues. Some viewers of the NFL game between Jacksonville and Baltimore streamed live by Yahoo on the previous Sunday reported similar problems. However, the truth is that in both cases most people that watched the games online enjoyed them as the NFL intended. I watched both and completely forgot how the games were coming to me. So much so that I grew bored with the Jacksonville game and gasped at the foul on Davante Adams in the Green Bay game. It is not just sports that are driving the growth of live streaming online. According to Freewheel, ad views during live streamed news grew 150% between Q2 2016 and Q2 2017. Ad completion rates were also unusually high, 96%, indicating that viewers are very engaged in the content they are viewing. Again, this is another strong indication that the quality and overall experience of watching live online news is meeting the expectations of viewers. Expect the number of live streaming services to continue to increase. 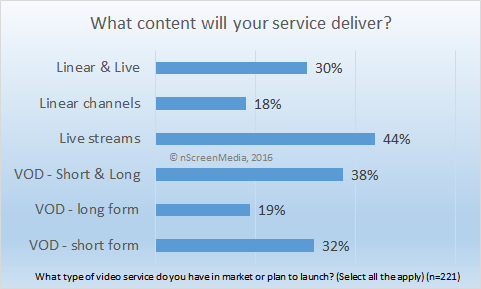 A 2016 survey of online video service providers and those planning to launch service within the next year found 44% said their service provided live events. 30% said they provided a mix of live and linear. 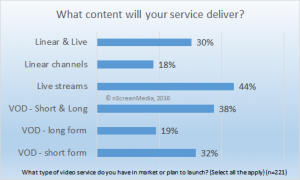 Live was by far the largest class of video content provided, beating out on-demand content providers handily. This sharp focus on live streaming by video providers speaks loudly to the state of live streaming technology. They are confident enough in the ability of the Internet to deliver that they are willing to bet their business on it. Video start-up time is frequently far longer than changing the channel on broadcast television. In each case, however, I saw companies at IBC offering solutions to each of these problems. In other words, the Internet is doing what it has always done: as problems arise companies find solutions. I, for one, do not doubt that the Internet will deliver Super Bowl-sized audiences when the viewers demand it. 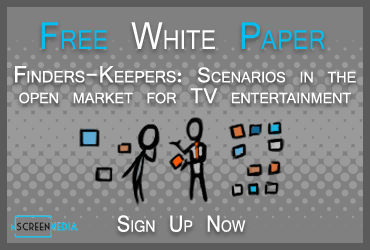 If you would like to learn more about the state of live sports streaming you should attend the free webinar Game On! My podcast partner Will Richmond, of VideoNuze, and I will be talking with Clark Pierce, SVP, TV Everywhere and Special Projects at FOX Digital Consumer Group; and Ben Weinberger, SVP and Chief Product Officer at Sling TV. Live streaming events continue to get negative coverage from the press and analysts. The truth is that most people watching major events live online receive a satisfying experience. That said, there are still challenges of scale, quality, and experience to be overcome. These issues will ultimately be solved.